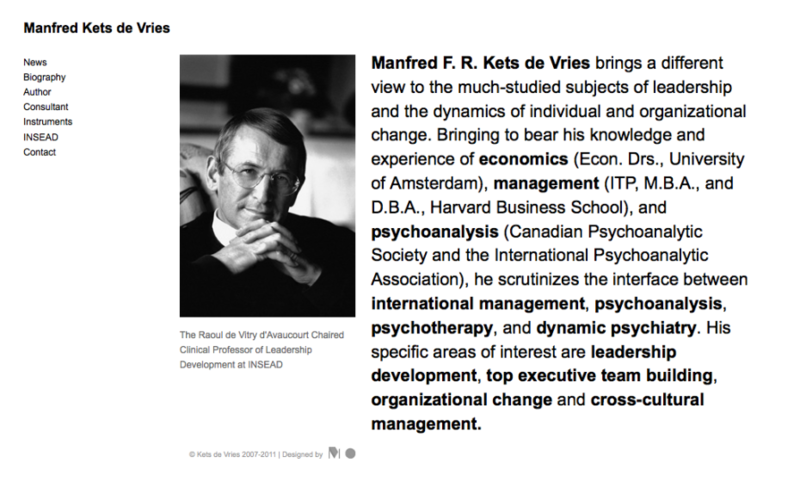 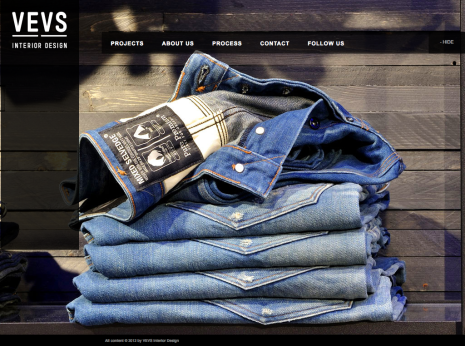 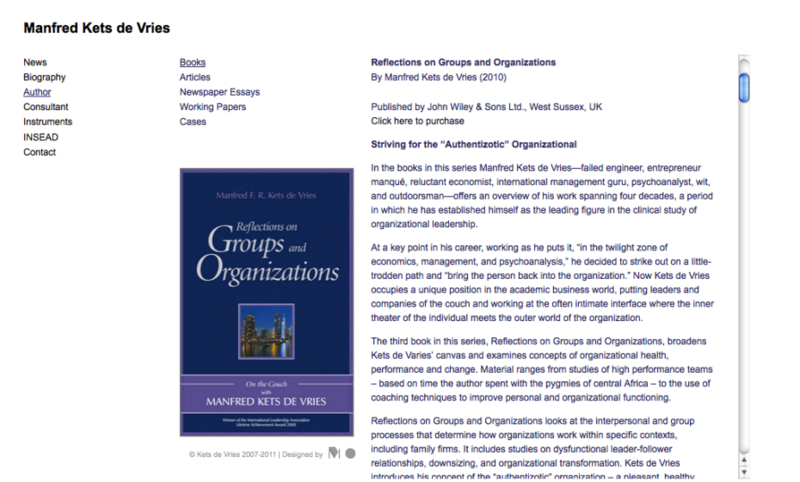 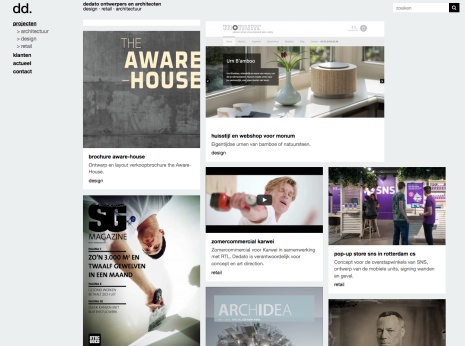 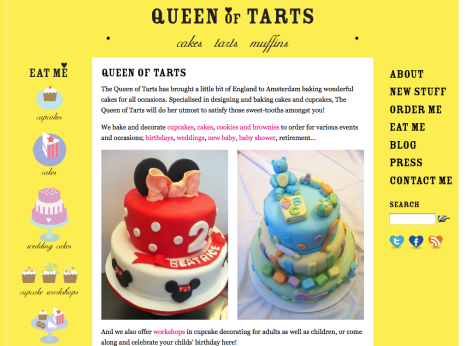 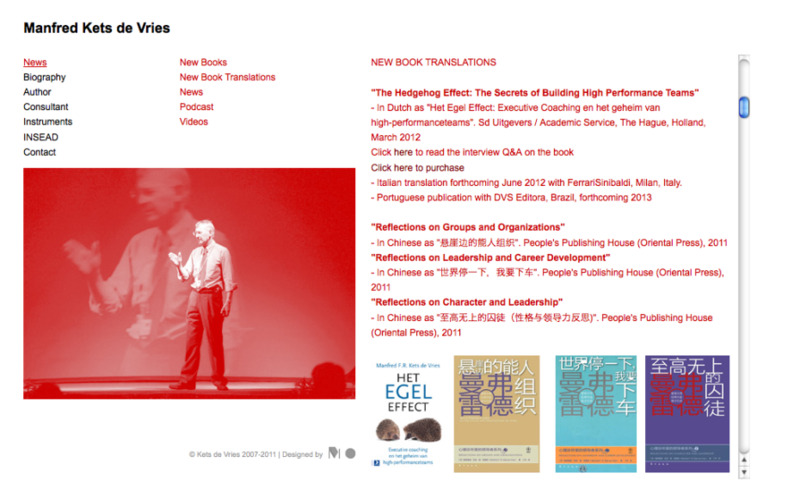 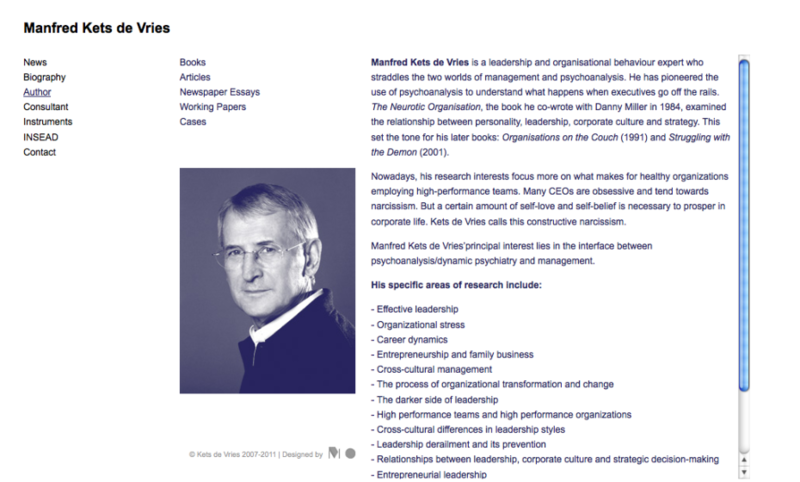 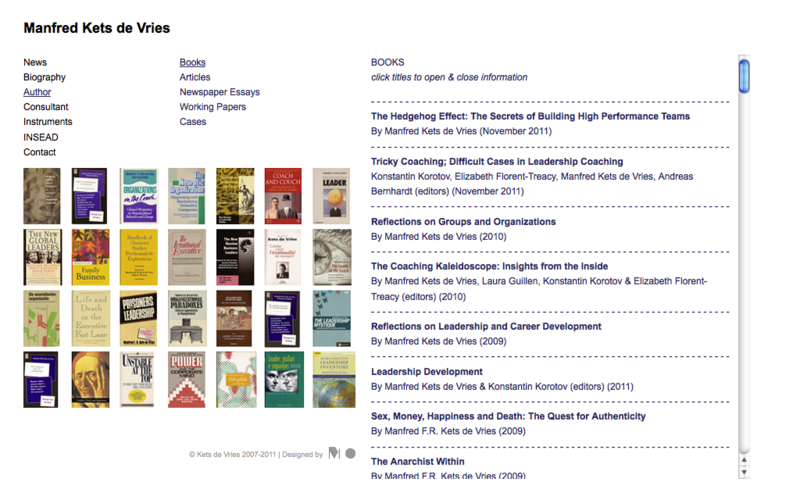 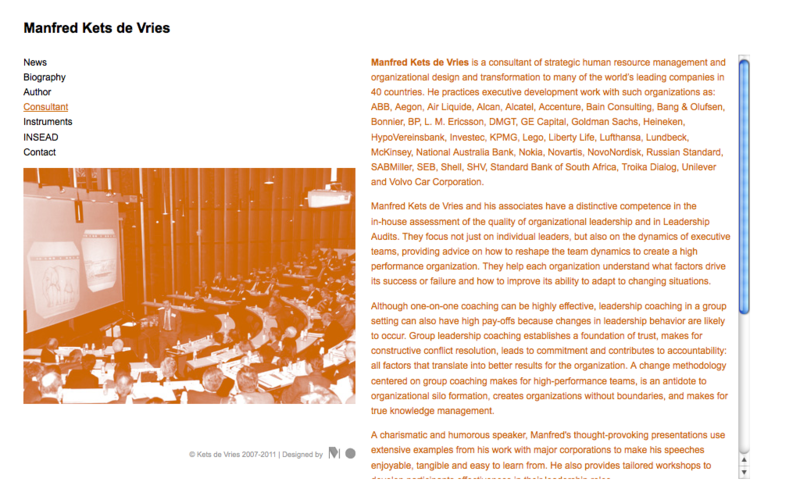 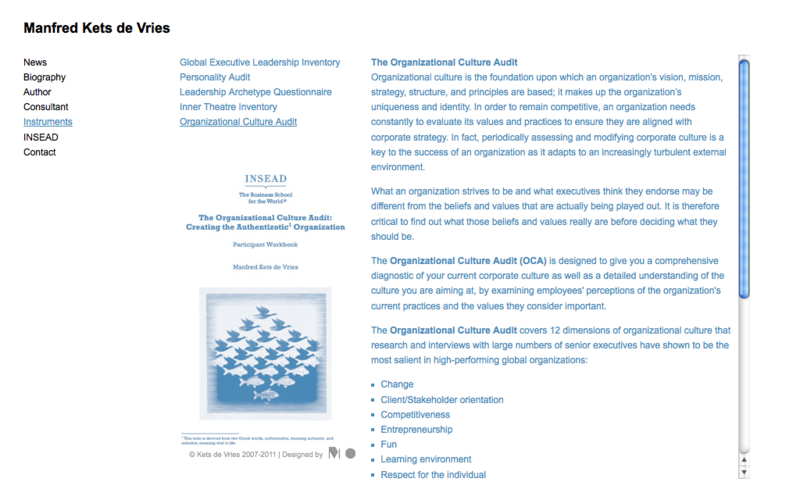 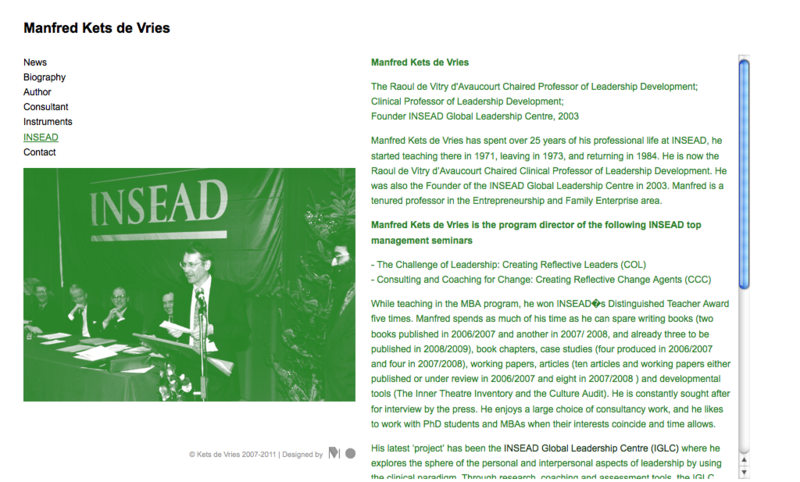 Website execution for professor Manfred Kets de Vries in Paris commissioned by M.O. 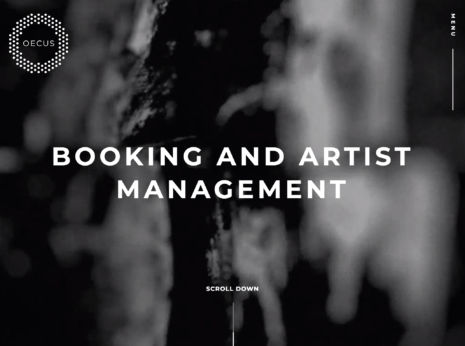 Creatives Limited from London. 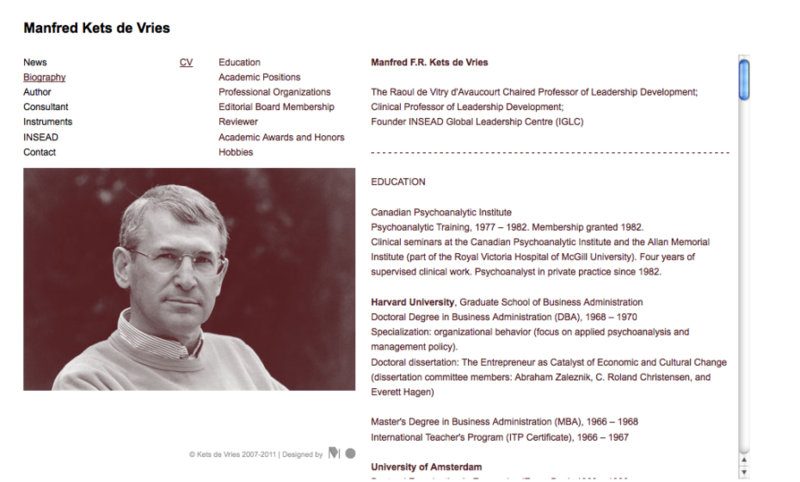 Scott Ponik from the werkplaats typografie in Arnhem was responsible for the nice and timeless design.